Do you feel like your hair is unmanageable and that frizz always wins? When styling products and hot tools don’t give you the results you’re looking for, a tailor-made smoothing treatment is the next step. We offer two different methods, in order to address the variety of needs and concerns of all of our clients. We consider the texture of your tresses and hair goals, when selecting the treatment that will work best for you. 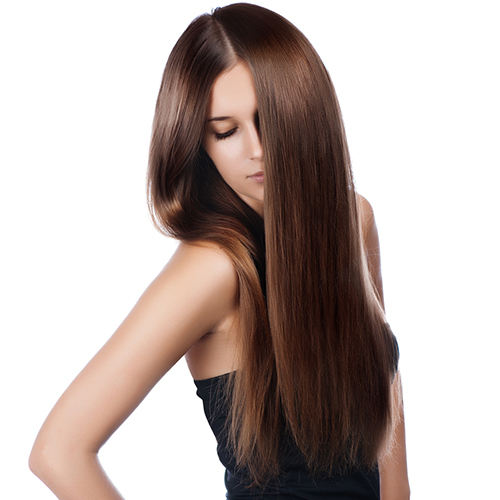 Then our stylists employ precision to apply the treatment, wash, and then style your sleek new hair. Beyond the silky, smooth feeling you enjoy, you will save time styling your hair and stress less when it comes time to get ready each day. Isn’t time you got a little more sleep, instead of dedicating the morning to battling your hair?